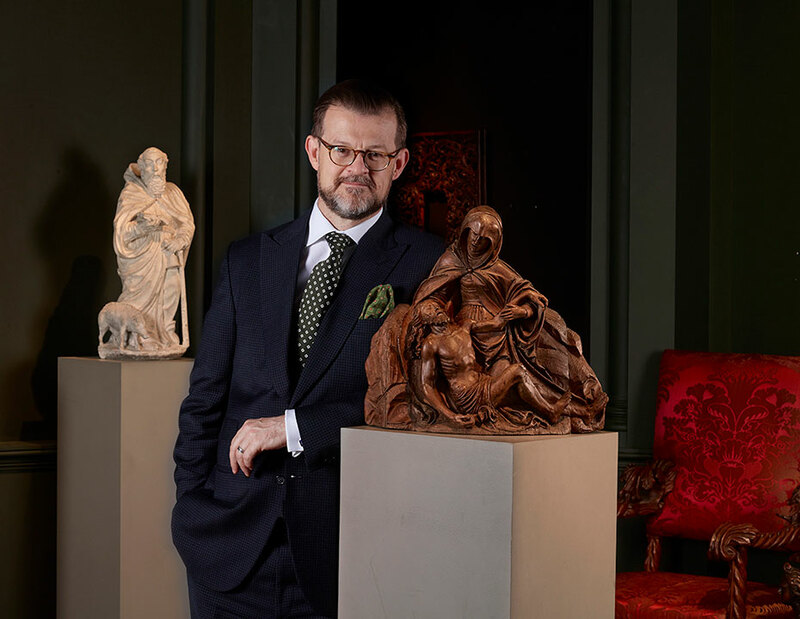 Mullany specialises in Haute Epoque fine art with an emphasis on continental sculpture, works of art, furniture and complementary old master paintings dating from 1200–1700. We are driven by the search for objects of the finest quality, rarity and provenance. Inspired by the emotional response a work of art elicits, every piece is selected carefully for its capacity to enrich the lives of those who possess it. We seek to source the extraordinary for discerning clientele. As long time collectors before establishing the business, directors Nicholas and Angela Mullany appreciate both the emotional and financial investment each purchase involves. Meticulous attention to detail, complete discretion and a personalised individual service are the hallmarks of our approach. We aim to ensure every client celebrates the addition to their collection and derives complete satisfaction and confidence in the sale process. We welcome the connoisseur and the curious to view our collection on line and in our St. James's gallery in London and to visit our exhibitions at the most important international art and antiques fairs. We deliver worldwide and will organise and manage all aspects of transport logistics. In the United Kingdom, our specialists will pack your purchases and we will arrange delivery at a time convenient to you. For international deliveries Mullany will organise all export documentation and liaise with fine art shippers. Our expert art handlers will pack your purchases appropriately for freight by air or road. We will monitor the shipment and co-ordinate delivery arrangements. We are members of the B.A.D.A. (British Antique Dealers’ Association), the S.L.A.D. (Society of London Art Dealers), the S.N.A. (Syndicat National des Antiquaires Négociants en Objets d’Art Tableaux anciens et modernes de France), the C.R.A.B. / K.K.A.B. (Chambre Royale des Antiquaires et des Négociants en Œuvres d’art de Belgique / Koninklijke Kamer van de Antiquairs en Kunsthandelaars van België) and the C.I.N.O.A. (Confédération Internationale des Négociants en Oeuvres d’Art). Nicholas is a former member of the Executive Council of the B.A.D.A. Mullany is a member of MasterArt, the Directory of the World’s Leading Art and Antique Dealers.